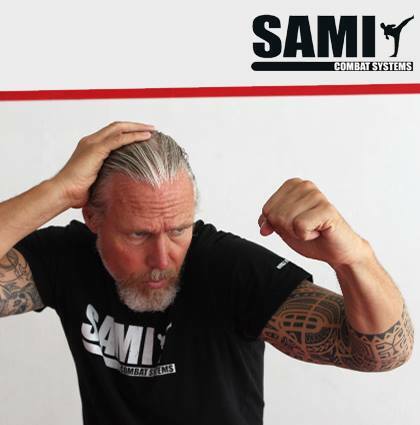 SAMI Panantukan Concept is a fighting system with no limits. It contains techniques such as punches with the fists and the palms, the forearms and the elbows, knee-strikes, kicks, punches to the eyes and ears, bars, crushing, pulling and pushing of the opponent, and techniques to disturb the opponent’s balance. A special feature of SAMI Panantukan Concept is trying to weaken the opponent’s attacking arm or leg (by breaking or dislocating them) to gain advantages. Training does not only contain technical training but it is also defined by its effectiveness, speed, dynamics, timing, precision and its typical flow of action. Different than competitive boxing and kickboxing, Street Boxing uses the whole body as a weapon, which explains its own, discrete identity. 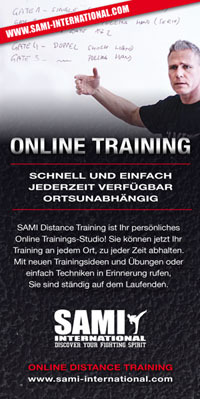 We practice with or without boxing gloves, which is particularly appealing for self defense training.